Caring for your manes this monsoon!! Every change of season throws up a new challenge for the hair. The warm and humid monsoon months make hair maintenance a challenge – acid rain, dirty rainwater and increased levels of humidity trip away the outermost layer of the hair strand cuticle making it brittle, rough and prone to dryness. Bed Head Masterpiece is humidity resistant product so your hair will look its best come rain or shine! With a delightful tropical fragrance it will leave your hair smelling sensational! It is the perfect tool to create your own Masterpiece! It adds gloss and shine while conditioning your hair and guarding it against dryness. The anti-static protective barrier will also fortify your hair shaft, giving you hair that looks thick and textured. Bed Head Control Freak fights the frizz and stomps the curl. It leaves hair smooth & silky with a glossy finish, light & non-greasy, fights humidity, acts as a thermal protectant. It has a fragrance of Pineapple. 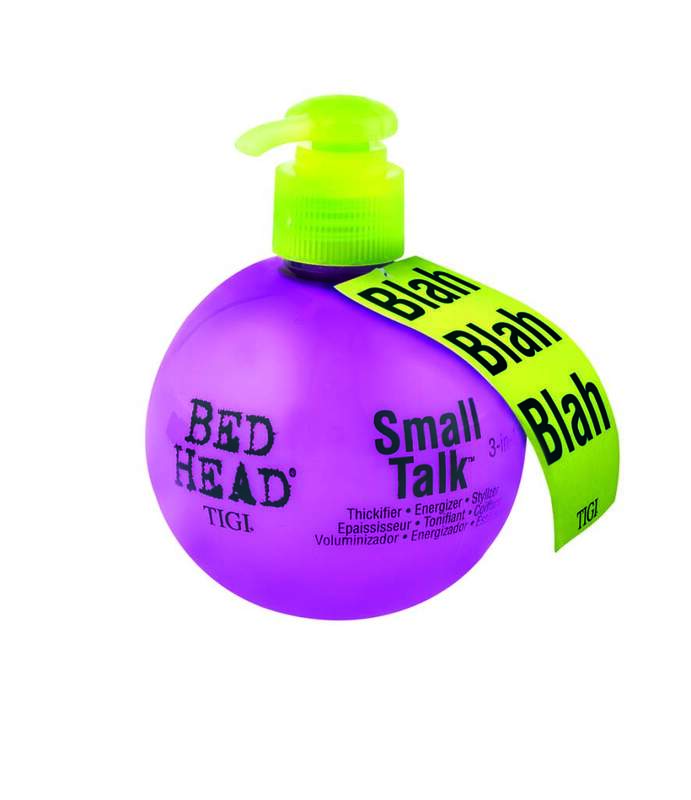 TIGI Bed Head Control Freak is frizz controlling and straightening serum. A product that can boost your ego is Bed Head Ego Boost – a split end mender/leave-in conditioner which protects dry, damaged hair from environmental elements, chemical treatments, shampoos and brushing. It lightly conditions & mends split ends and leaves hair smooth & healthy looking. Ego Boost is the right product for highly textured hair or hair with split ends. Lose the chitchat and get Bed Head Small Talk! It will thickify, energize and stylize your locks on their way to hair heaven… Enriched with a blend of Jojoba and Sunflower Oils, Small Talk is a 3 in 1 styling lotion that conditions the hair and adds a healthy radiance and shine whilst protecting the hair against external environmental aggressors. For those with beautiful locks, Bed Head Foxy Curls Contour Cream leaves curls looking shiny, bouncy and frizz free during the monsoons. Foxy Curls encourages and supports natural curl formation and is infused with a blend of antioxidants such as Jojoba Oil, Shea Butter and Green Tea Extract to protect curly hair from the frizz forming effects of humidity and environmental aggressors. TIGI’s S Factor Serious Conditioner is an intensive hair treatment which strengthens and intensely moisturises the hair. Perfect for stressed hair types that are in need of some serious conditioning, S Factor Serious Conditioner is enriched with Hydrolysed Silk which helps to minimise split ends and repair damage. A blend of Silicone Polymers and Amino Acids work to strengthen the hair whilst Vitamin E rich Sunflower Seed Oil effectively hydrates the hair and promotes a natural radiance and shine. S Factor Serious Conditioner leaves the hair lusciously nourished, hydrated and reconditioned with split ends and damage noticeably repaired for renewed health and vitality.